Focal nodular hyperplasia is a benign neoplasm of the liver. On ultrasound its appearance is isocheoic to slightly hypoechoic. 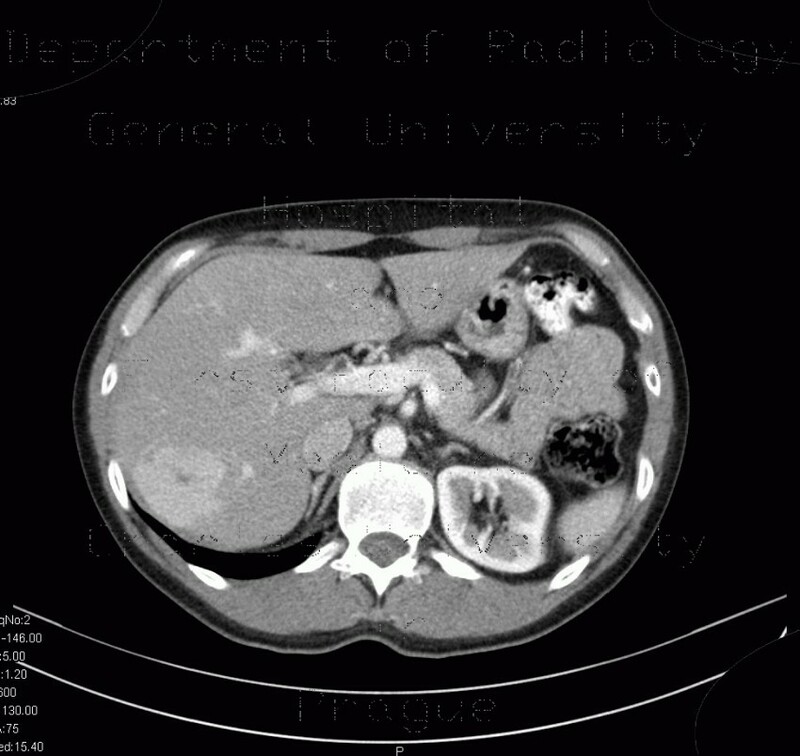 On CT and MRI it shows conspicuous uniform enhancement in arterial phase, it becomes isoechoic with the parenchyma in delayed phase. Central scar may show delayed enhacement.